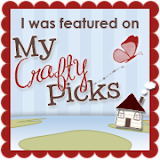 Porch Swing Creations: Quick Easter Tags & Yummy Treats! Are you ready for Easter?? If not and your looking for a quick tag (or two) for an Easter Basket you've come to the right place! Punch 2 of the 4 sided shapes in the Itty Bitty Shapes punch from Blushing Bride cardstock. With paper snips cut off two of the petals opposite one another to create the Lamb's cheeks. Draw in the nose and mouth with a Basic Black marker. 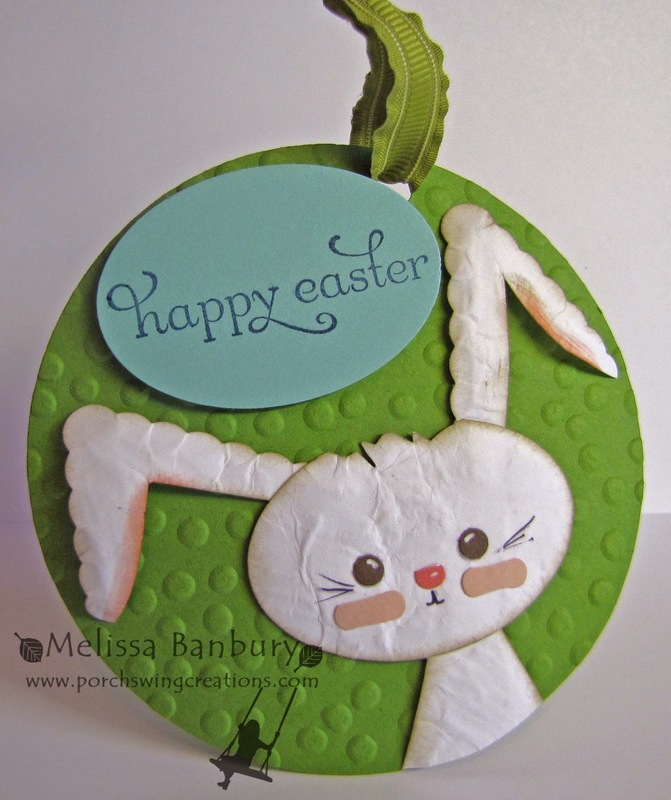 Give the Lamb dimension with a Stylus tool and foam mat and adhere to the circle with Stampin' Dimensionals. Stamp sentiment on Gumball Green cardstock with Midnight Muse ink and punch out with the Large Oval punch. Adhere to the top of the tag. Punch a hole at the top of the circle and add a length of ribbon. 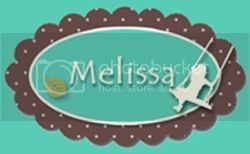 Begin by cutting one of the larger circles from the Circle Framelits from Gumball Green cardstock and emboss with the Decorative Dots embossing folder. Punch one of the straight edge triangles in the Pennant Punch from Whisper White cardstock, sponge the edges with Crumb Cake cardstock. Adhere to the back of the head to create the body. Punch 2 of the scalloped triangles in the Pennant Punch from Whisper White cardstock. With paper snips cut a "V" into each triangle to create ears. Sponge the upper edges with Crumb Cake ink and the underside with Strawberry Slush ink. Punch 2 sprinkles from the Cupcake punch from Chocolate Chip cardstock for the eyes. Add highlights with a white gel pen. Punch 2 of the 4 sided shapes in the Itty Bitty Shapes punch from Blushing Bride cardstock. With paper snips cut off two of the petals opposite one another to create the Bunny's cheeks. Punch 1 of the 4 sided shapes in the Itty Bitty Shapes punch from Strawberry Slush cardstock. Cut off one of the petals to use as the Bunny's nose. Add a mouth and whiskers with a Basic Black marker. 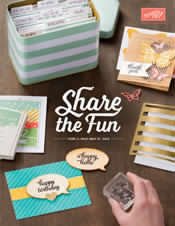 Stamp the sentiment onto Coastal Cabana cardstock with Midnight Muse ink and punch out with the Large Oval punch. Adhere to the top of the tag. Punch a hole at the top of the tag and add a length of ribbon. 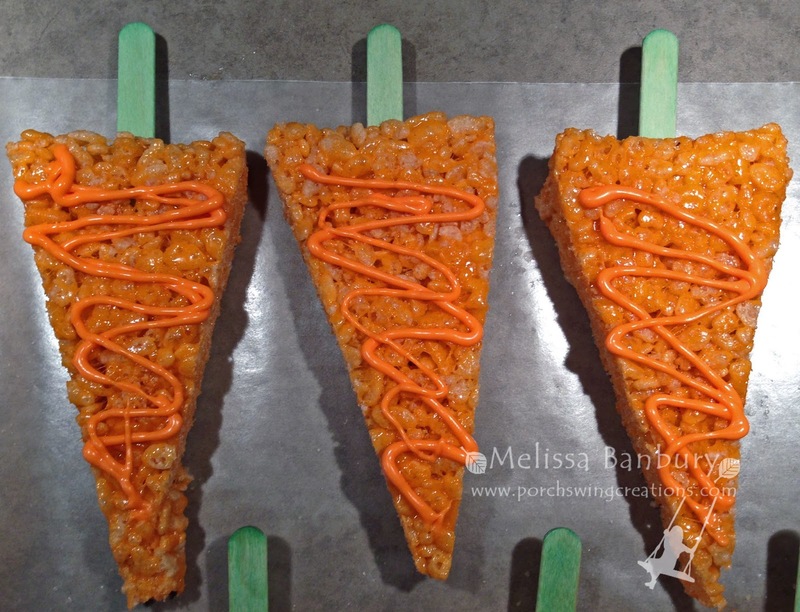 I figured everyone loves Rice Krispy treats and they're the perfect go to when you don't have tons of time! Before I started making the treats I dyed Popsicle sticks in Green food coloring and water; letting them soak in a dish for about an hour - they came out just the right shade of green for my "carrot" stems! I made a standard size batch of Rice Krispy treats and just mixed in Orange food coloring before stirring in the cereal. I then pressed everything onto a cookie sheet and let set up for about an hour before cutting. To cut evenly I divided the pan into 1/3's then just cut triangles into each of the 1/3's. I ended up with approximately 24 "carrots". To finish the carrots off I pushed a dyed popsicle stick into the top of each carrot and then drizzled melted Orange Chocolate over each of them. I wrapped each carrot individually for ease of giving in a small sandwich bag, added a ribbon with a tag with a stamped sentiment and Viola! 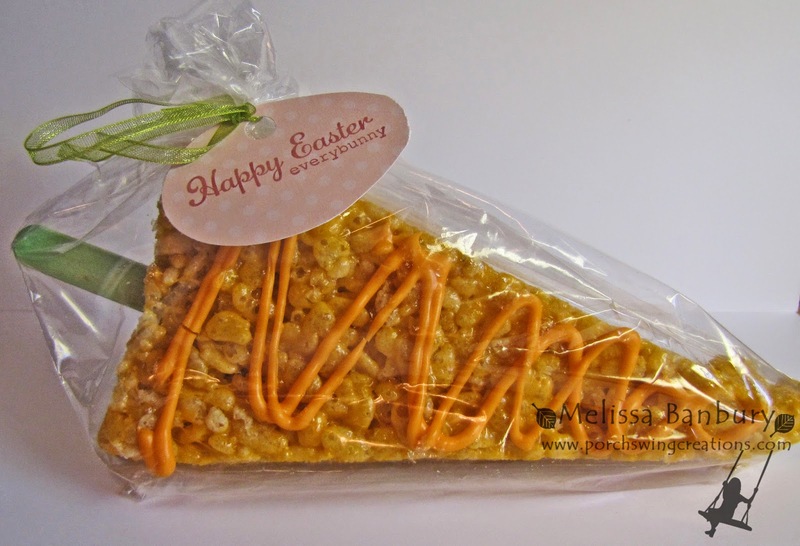 The perfect Easter Treat! 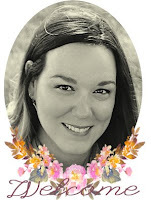 I hope you all have a wonderful Easter, I'll see you back here next week!